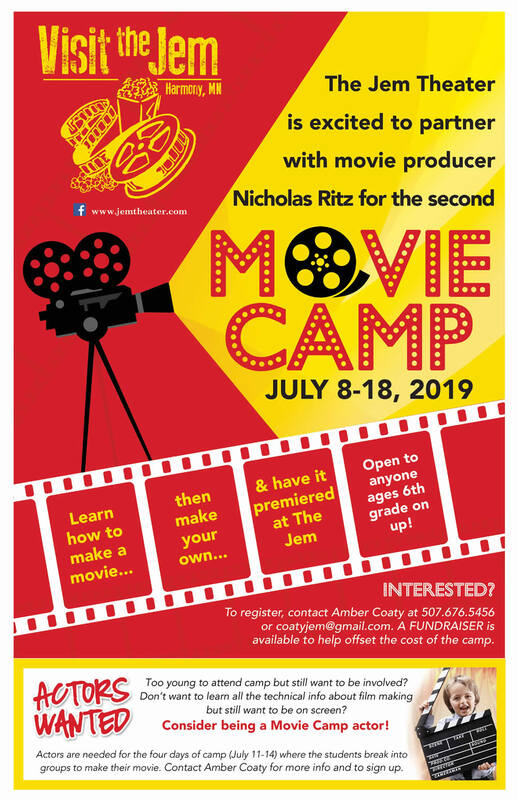 Movie Camp is a super fun opportunity for your aspiring movie producers to learn the not so basic skills of running a camera, lighting, sound and editing of their very own movie. 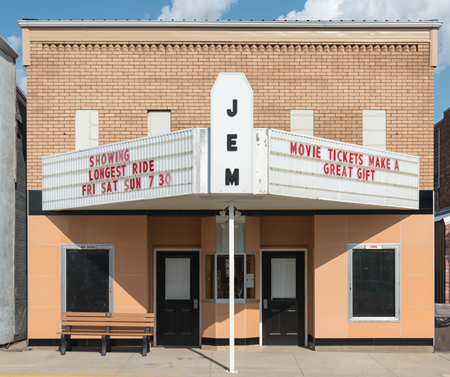 Campers will never watch movies the same again after they know all the fun details that go into making a movie. Movie Camp is an experience they will never forget. A FUNDRAISER is in place that will allow each student to EARN his or her FULL TUITION fee! First half of tuition is due upon registration and the other half on the first day of camp. It is strongly recommended that Movie Camp students attend a meeting at 6 p.m., Thursday, June 13. Registration form and First half of tuition is due by Friday, May 31. INTERESTED IN HELPING? Adult supervisors are needed for each group. Please contact Dana or Amber. Please call Dana or Amber Coaty at (507) 676-5456 with any questions you might have or email coatyjem@gmail.com. Click here to download this information and registration form.